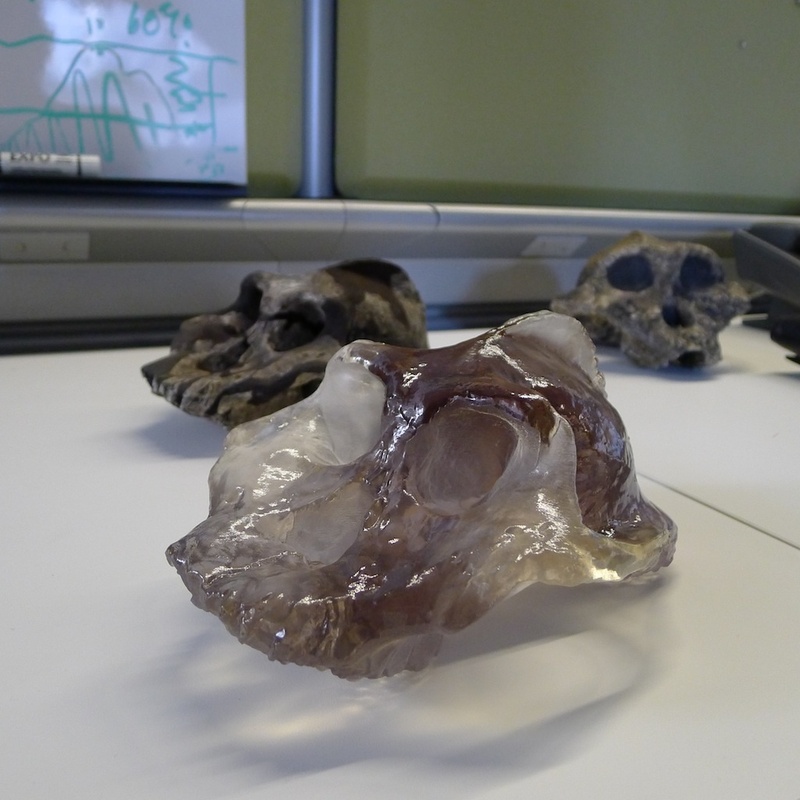 As part of the 3D Printing for Science and Sustainable Development workshop, Louise Leakey was invited to speak about the African Fossils project in the context of 3D Printing for use in education. A small gathering of some 65 people from many different countries met at the The Abdus Salam International Centre for Theoretical Physics, in Trieste, Italy. Several very interesting talks were given in the course of the three days, as well as an opportunity to play with 8 different low cost printers and to design printable objects as well as to print them. Louise took the opportunity to print out one of the files (KNMER-1813) from the African Fossils site using the PrintBot Jr and PLA plastic. The Printbot Jr printer is one of the lower end printers and can be ordered from printbot.com. Its quite portable and produced a smaller version of one of the skulls. 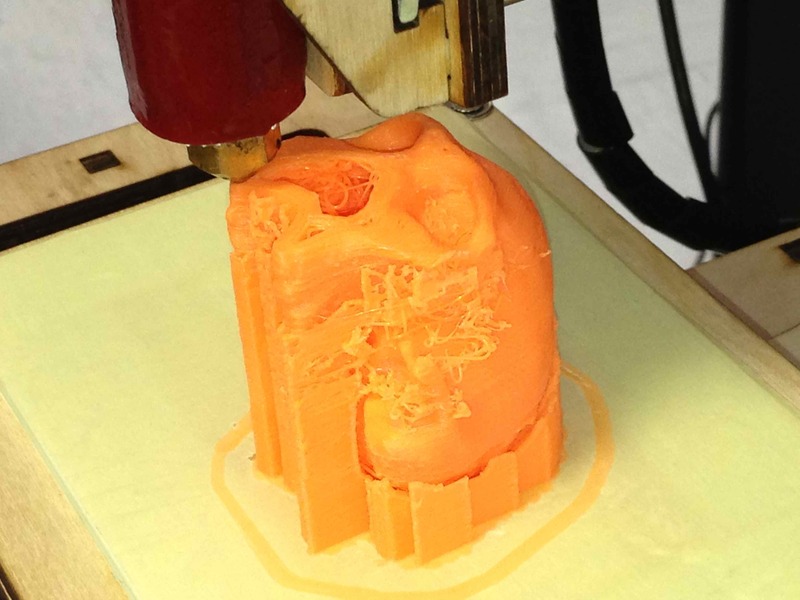 I was very exited to see the potential this has for classrooms and home printing hobbyists and with the next build of the web site we will make it possible to download low resolution files for people to experiment with.However its not just a matter of pressing PRINT. 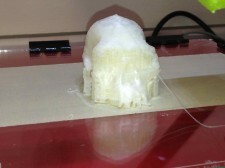 There is quite a lot to consider before you can print out a file, which software to slice the model, setting up the model with supports so the melted plastic that it squeezes out like toothpaste doesn’t just drip when printing an overhanging part of the model and telling the printer how to print the internal filling, speed, temperatures etc. 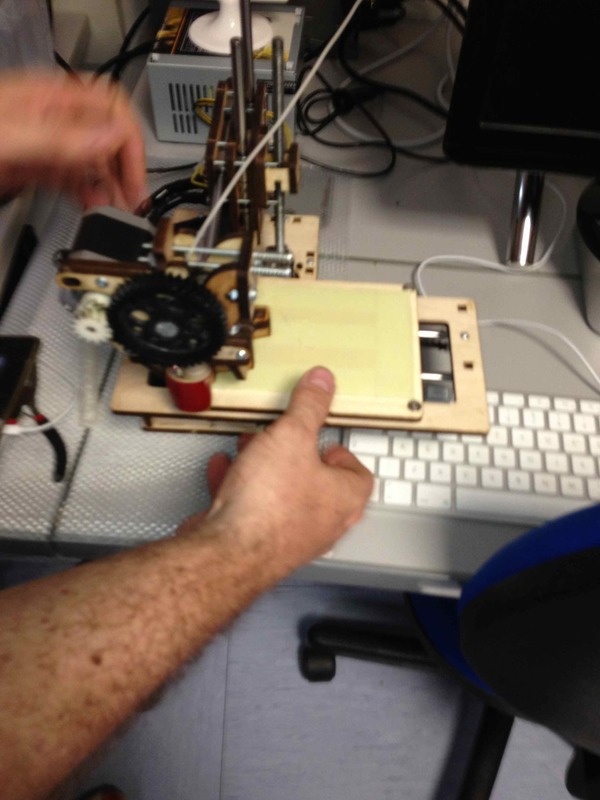 Its rather more technical than 2D printing but a lot of fun to try out. 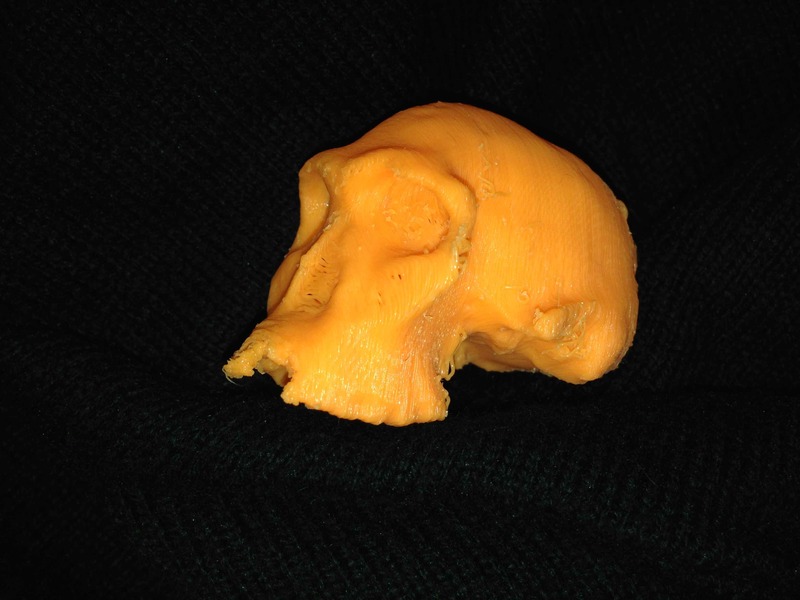 Here are a few images of the printer and the skulls that we printed out, firstly in an Orange PLA plastic and then in a nylon. The nylon is very tough but removing the support structure is almost impossible to do in this medium. The other end of the spectrum produces beautiful life size skulls when printed professionally on an Objet printer, however this is beyond the reach of most of us as they are quite pricey. Professionally printed translucent skull from OBJET printer. A more detailed writeup of the event can be read here. A downloadable booklet was produced with input from all the speakers and it is freely available for download here.